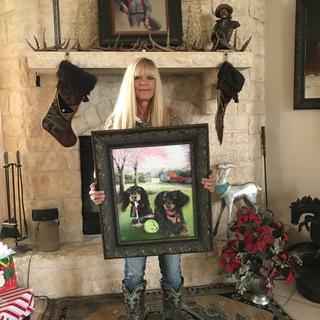 Great packing and shipping materials got it here safely and it was perfect for my picture. This is a stunning frame! It is very substantial and well-made and it enhances our artwork beautifully. This beautiful frame is the finishing touch for my painting. This was my first order and I've already made another that will arrive in a few days. Faster and less expensive! Fits perfectly with my decor and my art work. Good quality frame with a fair price. Was pleasantly surprised by the heft and presence of this frame. Very nice. This frame is gorgeous, and really makes a dramatic impact that compliments the artwork. The artist is known for making elaborate frames for his work, so I wanted something that captured his intent. The frame is solidly constructed and high quality. 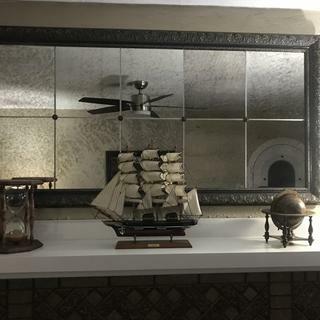 It fits right in with the architectural details in my Victorian home. 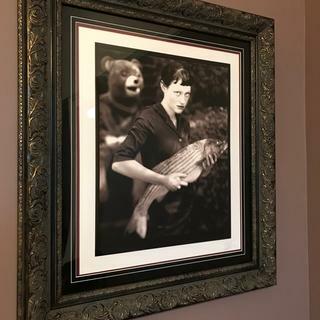 I would recommend PictureFrames.com to anyone needing good frames. They have become my go-to source for framing. The frames are museum quality, reasonably priced and delivery is fast. I get what I need when I need it. Never disappointed. They were a great company to work with. I will use them again and I recommend their quality and service. I was very pleased with my frame and the service I received. The first frame came to me cracked on two of the corners and was warped. After I notified customer service, they quickly made a new frame for me and I received it in 3 days and in plenty of time for my daughter’s wedding. Hello Marjorie! Thank you for placing your most recent order. We appreciate you taking the time to submit a review. We are grateful to have you as a Customer, and we will always make things right with you. There are seveval framing companies you can shop with, and we are thankful that you chose us! Happy Framing! AWESOME. EXCEEDED MY EXPECTATIONS. MADE MY MEDIOCRE PICTURE INTO A BEAUTIFUL MASTERPIECE! Amazing Quality! Better than expected! Purchased frame to go with a picture I had purchased in Ukraine. The quality is amazing. Fast Shipping. came within 2 weeks of purchase date. will order again when needed! This frame was perfect for the antique drawing I used it for. It was on display at an art event and people were immediately drawn to it. I couldn’t be more thrilled with my finished product. I am very happy with the quality of my frame. It’s more beautiful in reality than in the online pictures. Since the painting I framed is very old I wanted a frame that would look just as old. This was a perfect match! It was easy to frame, at a reasonable price. It is a perfect fit both in looks and size. I will do my own framing from now on. PAZ Midnight Gold frame is elegant, beautiful and versatile!! Picture frames.com does not disappoint and my favorite frame supplier!! 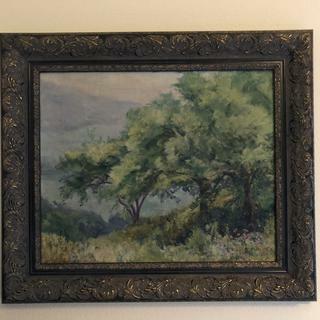 I am framing an old painting and I think this frame will be in line with it's age. It was also important to me to protect the painting so I chose the UV acrylic and acid free backing. 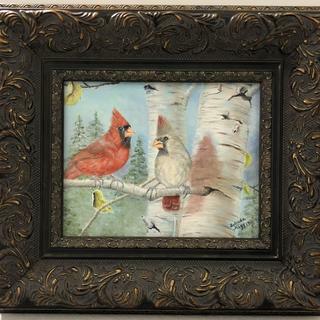 This frame gently supports paintings that are rich in color and detail without overpowering them. 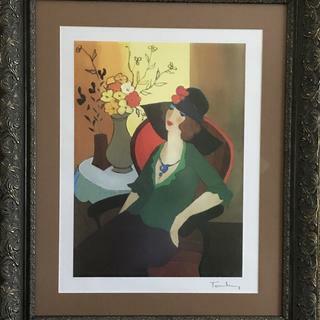 I use this frame for larger pieces that have a very feminine spirit with bright warm colors. This frame complements the feminine details in the painting without competing with the artwork. Perfect for garden scenes of women and children. 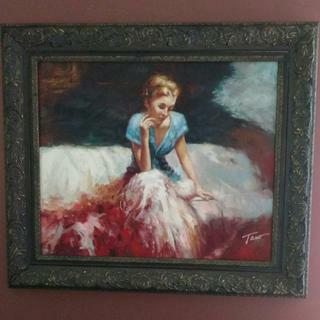 It complements the painting that I am framing. It will look good with my family photo. 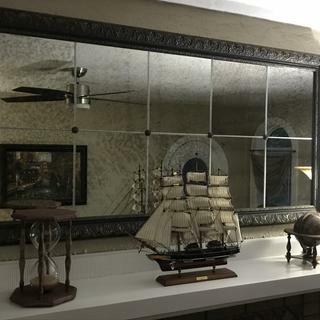 We chose these frames because we thought they were elegant for the mirrors in our bathroom and we like that we can customize the size to fit perfectly in the designated place. It looks like a much more expensive frame. I needed a 3/4 " rabbit and it is for a canvas painting. Complements a still life that I painted. We liked it and it was appropriate for the painting we are framing. We needed something more ornate and this was perfect. It looks antique, which will enhance my pastel which is kind of Renoir like. 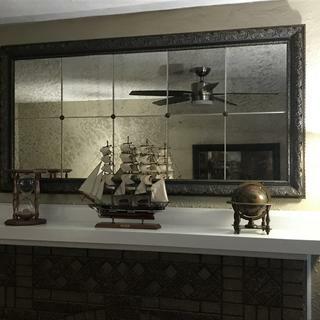 It is also nice and wide, prominent and will fill the wall space commandingly! Because it looks old school. The future is the past. because I liked it the most. Its colors go well with my painting. Matches the painting and my decor. Like the look. To match the style of an old painting. elegant and subtle. I hope it looks as good in person as online. 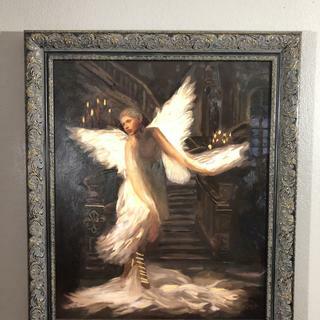 I prefer a hefty, ornate frame to dress up a wonderful piece of art, rather than have all the blank mat space and a tiny frame. BEST ANSWER: I have always ordered the canvas dimensions to match the frame, so a 16 x 20 should work. All of my canvases have fit the ordered standard frames; frames have never been too small, but sometimes needed some wood spacers or store-bought metal clips that affix the canvas to the frame. BTW, I love this frame. I did add a linen liner as my painting was dark, but still would order 16 x 20 as this would still fit the "window" dimension of your canvas. You will want to order at 16x20. This frame has a rabbet depth of 3/4" so it will accommodate your 1/2" canvas with no problem. Happy framing! I have a watercolor that I do not want to mat. Do you have spacers to keep the painting from touching the glass? BEST ANSWER: We do offer spacers, however, these would need to be ordered by phone at 1-800-332-8884. Our care team is in the office Monday-Friday 8am-7pm eastern time to assist! BEST ANSWER: Thank you for reaching out! 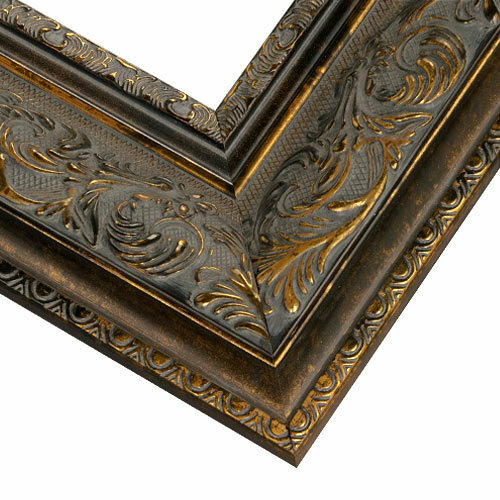 Since you are framing such a large piece, it would be best to speak with one of our framing experts before ordering. They are available by phone at 1-800-332-8884. Happy framing! I uploaded a pic of a vintage poster I wanted framed but it didn't allow me to choose just any frame. Is there any way I can preview before buying? If you go to this link https://www.pictureframes.com/personal-frame-shop/get-started?default-package=frame-mat you will have an opportunity to upload your image in preview mode. Make sure under "Framing Options" you have "Paper" selected and that the size of your image is over 6" in each direction. After you have uploaded your image press next. This will take you to the Mats tab where you can change the mat selection or remove the mat altogether. Press next and you will be taken to the Frames tab where you can enter in PAZ3 in the search box. The frame will come up as an option. Select it and you will see it rendered against your image. You can also order free 3" samples of the frames you are interested in. This way they will arrive at your home for review up against your artwork. If you have any additional questions do not hesitate to contact our friendly framing experts at 1-800-332-8884 or via LIVE chat Monday-Friday. I have a piece of canvas art that is stapled on wood that is 1 inch thick will this frame work with this? BEST ANSWER: Hello Debra! This frame has a depth/rabbet of 3/4" which will work with a 1" deep canvas. Please order canvas clips since the canvas will protrude out the back of the frame. Thank you for your inquiry! How do I know if the canvas will fit? BEST ANSWER: Hello! The PAZ3 frame has a depth of 3/4" and will work with canvases of that depth. This information is located under the details tab on each frame page. BEST ANSWER: Hello. Thank you for your inquiry! This frame is available in 3/4" in depth. If you have any additional questions, please let us know! Happy Framing!